The picture shows the red rose at the heart of floral tributes to St George. 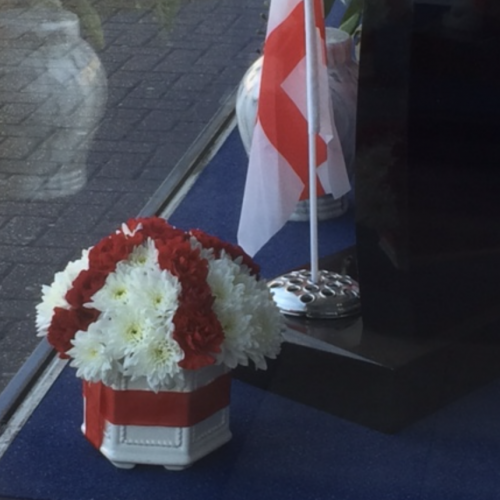 The windows of Lodge Brothers Funeral Directors in Church Road, Ashford, were adorned with flowers and patriotic flags, remembering the Patron Saint of England. “After the recent Saints’ Days for St David and St Patrick, it’s only right that we celebrate our own!” commented Richard Leachman, District Manager.